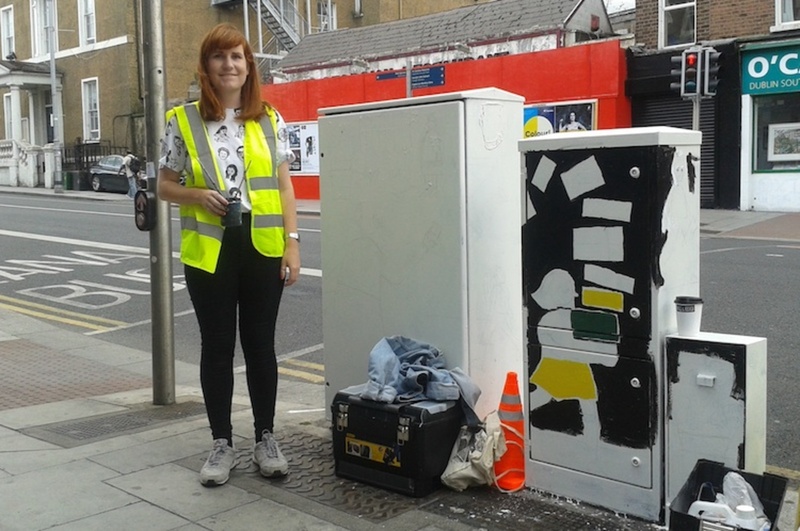 On Monday afternoon, Fuchsia MacAree was painting a pair of traffic signal boxes on South Richmond Street. She’d already made progress on the background, and was hard at work on the outline of a girl strolling along and dropping a pile of books in her wake. Later, she planned to add other figures also inspired by the South Richmond Street and Camden Street stretch, with its students and flower stalls and greengrocers. 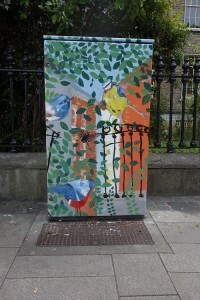 This is the latest of Dublin’s grey traffic signal boxes to be swanked up by local artists. 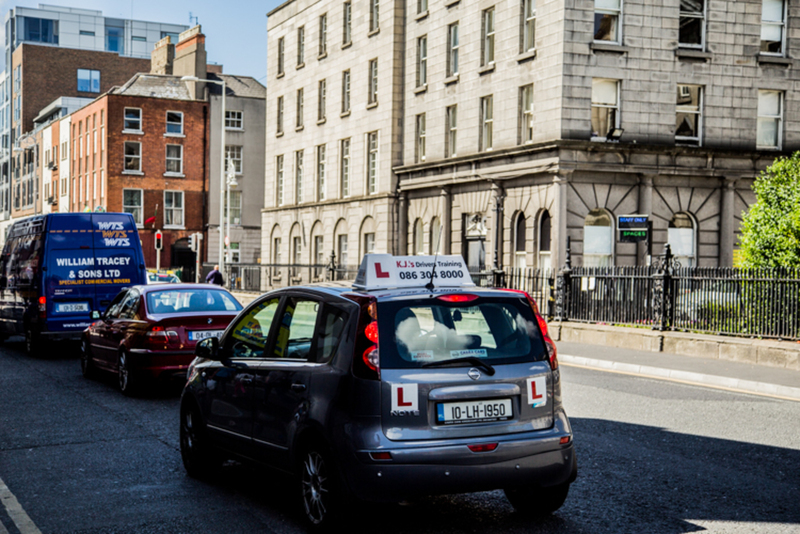 Already, you might have spotted two others in the Camden Street area, two in Rathmines, and another two in the Baggot Street area. 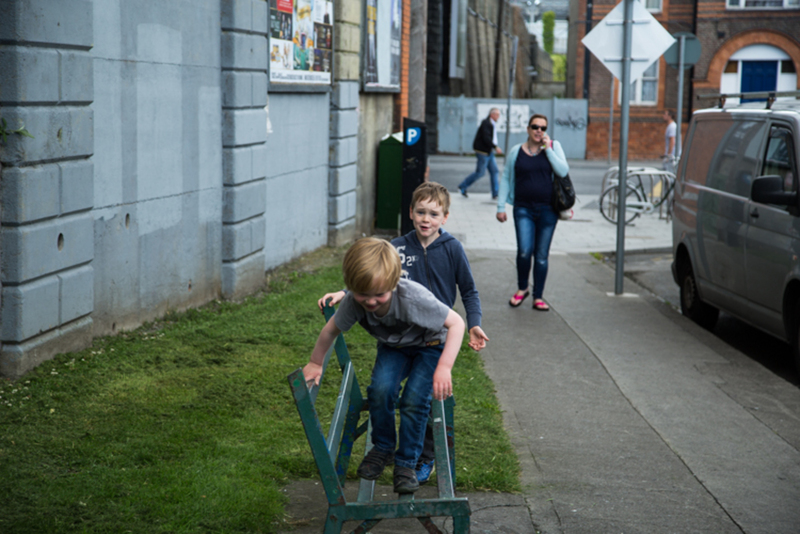 There’ll be more coming in those neighbourhoods, as well as five in Ranelagh as part of September’s art festival, and five each in Terenure, Donnybrook, Sandymount and Ringsend. 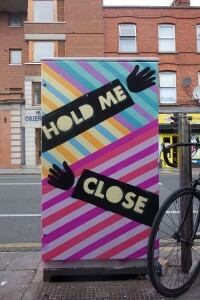 Eventually, the expectation is that 200 of Dublin’s 800 traffic signal boxes will be decorated with high-quality art. 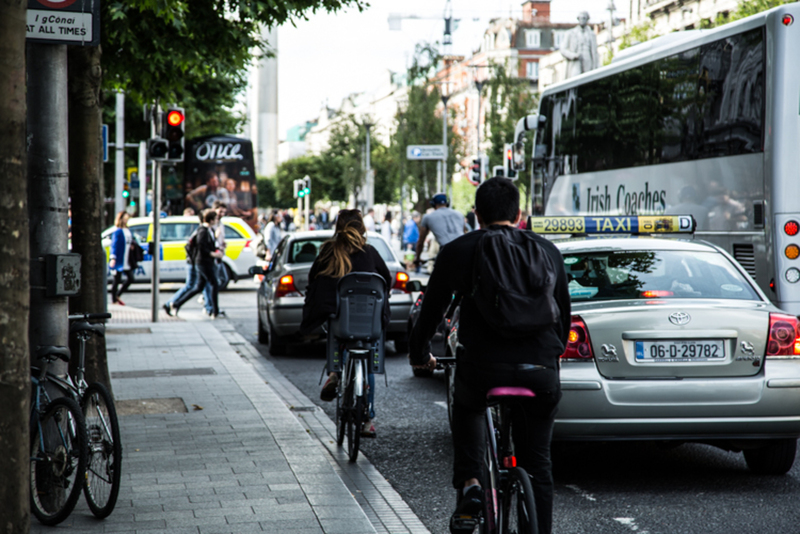 The painted-traffic-boxes scheme is the first of the Dublin City Council Beta Projects to move all the way through the pipeline from test to fully-fledged initiative. The idea behind DCC Beta Projects is to carry out small-scale tryouts for ideas that could improve the city. From mid-2012 to mid-2013, Beta Projects ran their first beta project with 11 boxes painted in the Four Courts area. 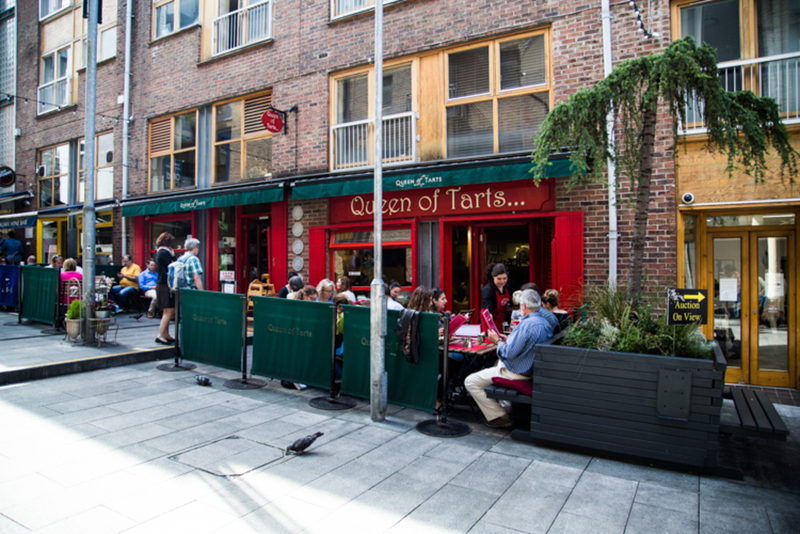 “I used this as the original beta project to kick off the concept of Dublin City Beta Projects, because it was positive and quite easily defined,” said Shane Waring, of Dublin City Council’s City Architects Division. The testing phase went well. There was less tagging and ugly graffiti on the colourful traffic signal boxes than the grey ones, and strangers passing by had something to chat about. Rolling out the project on a larger scale has posed a challenge for the council, though. Should they run it themselves? Should they get somebody else in? That’s how Dublin Canvas got involved, said Waring. Beta Projects is still learning how to trial business models, and scale up from a small tryout to “actual implementation on the streets”, said Waring. 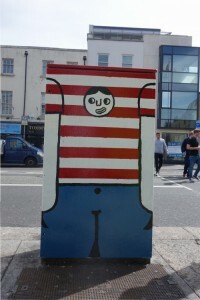 In the future, there’ll be plenty of chances for more artists to get involved in painting traffic boxes around the city. Dublin Canvas has put out a brief for the Ranelagh boxes. The submissions deadline is 31 August, and you can find out more about here. 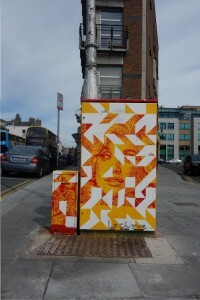 I work near one of the Baggot Street boxes and it looks great. I’ve also spotted a recently painted box in Fairview – it’s got a Bram Stoker theme. A very simple idea but a very clever idea. Public art brightens up the city and can be informative too. I like the idea that some of the boxes in the city have maps on them too. There were also some decorated for “One city One Book” in the past – there was definitely a “Strumpet City” box near the entrance to Connolly Station on Amiens Street. These things are noticed!